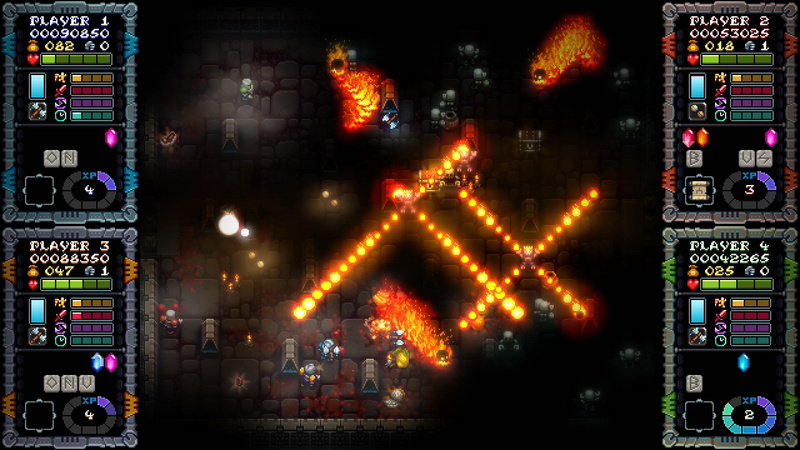 We're happy to exclusively share the first Nintendo Switch trailer for Iron Crypticle, an arcade twin-stick dungeon shooter arriving on the console next month. In the game, the glorious Royal Treasures of Cryptonia have been stolen, and now the King’s washed-up knights must suit up and descend into the ancient palace crypts to return all of those golden goodies. 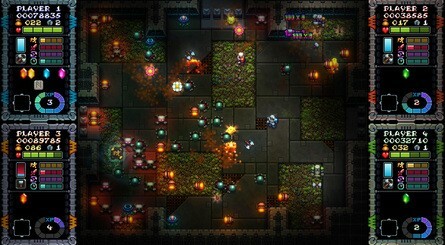 Players must grab loot and gobble up food to build up their XP, upgrading their abilities to help face the challenges presented by the lower floors. "Get ready for GHOULISH arcade action in this epic medieval twin-stick dungeon shooter. 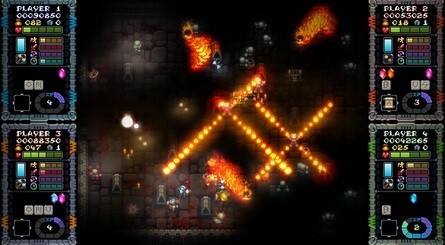 Up to 4 players (local co-op) can fight together to SMASH through all manner of ghouls and fiends." 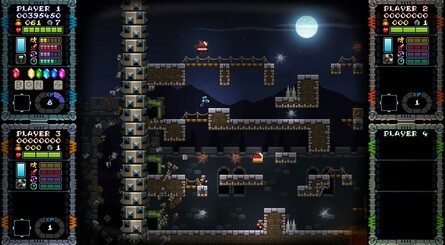 As mentioned above, you can play this one solo or via local co-op with up to four players in total. It'll be available to pre-order from the 30th January with a 10% discount, and officially launched on Switch on 13th February. Do you like the look of what you see here? Will you be pre-ordering this one on Switch? Let us know in the comments. is it like Ghosts and Goblins in terms of aesthetic? or difficulty? I am 100% over masochistic difficulty in games. Time to preorder then. 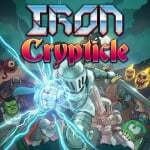 Iron Crypticle has an asthetic that I'll probably love, me being a huge Smash TV, knight, and Gungeon fan. This is right up my strasse. How did Enter The Gungeon not get to this first!?!? ...No matter, looks awesome and will def give this a go. 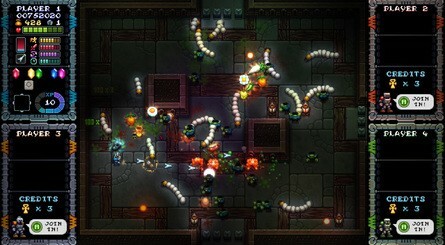 The screenshots look more like the old arcade classic Gauntlet rather than GhostsnGoblins. I'd love to see a version of Gauntlet on Switch. I got this one ps4, it’s pretty good. A bit easier than enter the Gungeon but still pretty hard. 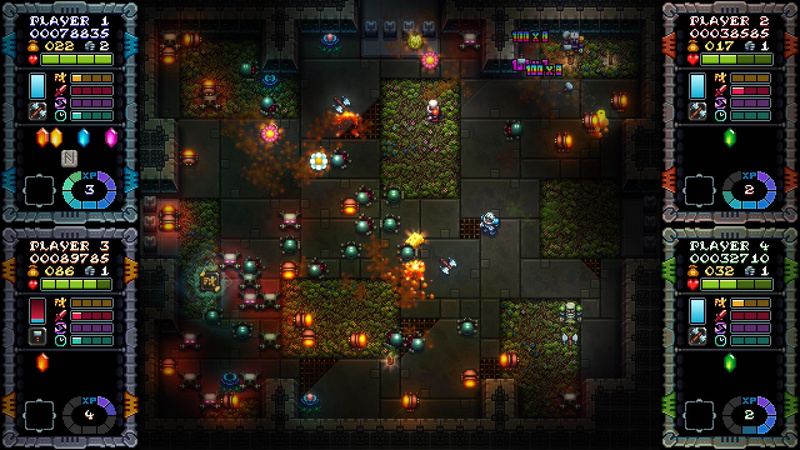 It’s not the deepest as far as roguelite elements go, there are different weapons and upgrades but they don’t change the gameplay up as much as In some games, neither do the level layouts. It’s overall pretty straight forward but solid. This actually looks pretty fun. Have to keep an eye on it. Sold, grabbing this for sure and the reviews I've seen are fantastic. Gonna be a good one! I've got it on Steam. It's pretty fun. Ghosts 'n Goblins? Hardly. 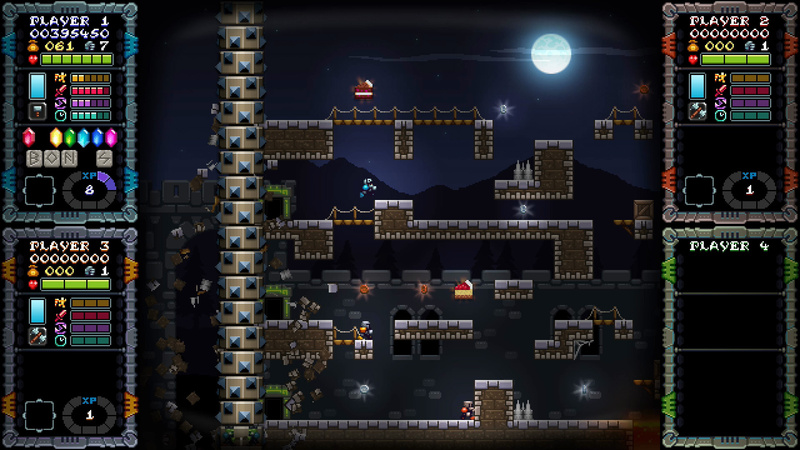 The honour falls to Cursed Castilla which is arguably better than the games it homages. Already available on Switch and even though I rate it this highly I'd still not be able to recommend it entirely at it's current price, not unless you're a real fan of the genre. Give me Physical baby....I take it but just for collection purpose as well. On the wishlist with ya! From the 00:30 mark you can see it is probably twin stick. @CharlieSmile Its nothing like it in either of those ways. It features a Knight, that's it. This is one of the sloooooooooooooowest non action action games that exists. I was drawn in by the aesthetic but literally got bored in ten minutes. Luckily i only paid two pounds for it but im sure it will be ten pounds or soemthing silly on the eshop. @Bondi_Surfer its really slow and boring. This is a really slow and essentially boring game. Everything that a twin stick shouldn't be. I cannot recommend it at all. Luckily i got it in the sale for a couple of quid but i'm sure it will be ten or something on the eshop. Also it is absolutely nothing like GnG. This came out awhile ago on PC. I bought it and returned after playing for an hour so. It was fine but there's better games in this style. I only played it solo though.